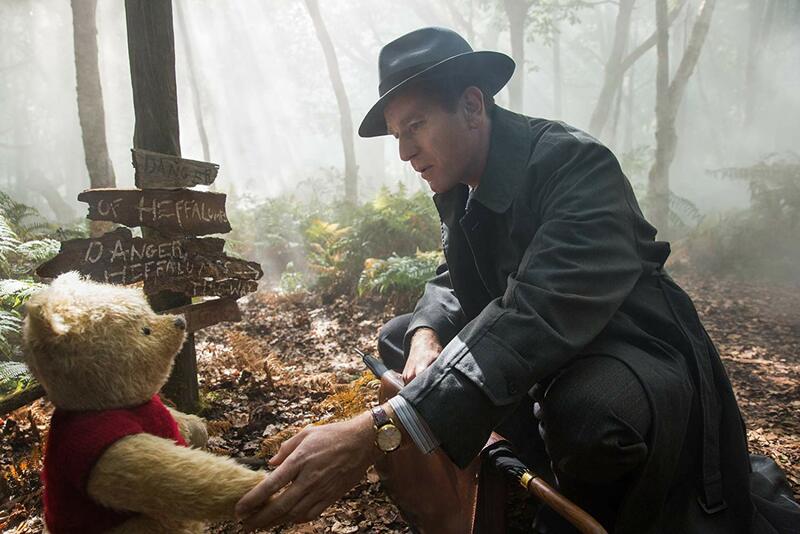 Christopher Robin is an idealistic – and some could absolutely argue unrealistic – outlook on the hardships of adulthood. That’d be a fair criticism, albeit one that never really allows the picture’s message a chance to be heard. But above all else, the film’s chief concern seems to be with sparking imagination. To encourage all us to be playful with our loved ones and the world around us, to utilize our imaginations, and to see more than just vague shapes in the sky when we glance at a cloud on an overcast day. Life’s never very fun when you take it too seriously. Watch Christopher Robin with this same outlook and I think you’ll be pleasantly surprised by how art imitates and paginates the living that we do. Maybe the best part of Christopher Robin is the open. Story book pages coincide with the loss of Christopher’s youth, dispatched to boarding school and suffering a parental loss. He grows old quickly, as we all do. Soon he meets a girl named Evelyn (Hayley Atwell), they marry and she becomes pregnant, left to go it alone while Christopher (Ewan McGregor) tries to survive WWII for many years. He returns, takes a job at a luggage company, working overtime off the clock and prioritizing his suit and jacket over a planned weekend getaway with his wife and beloved daughter Madeline (Bronte Carmichael). 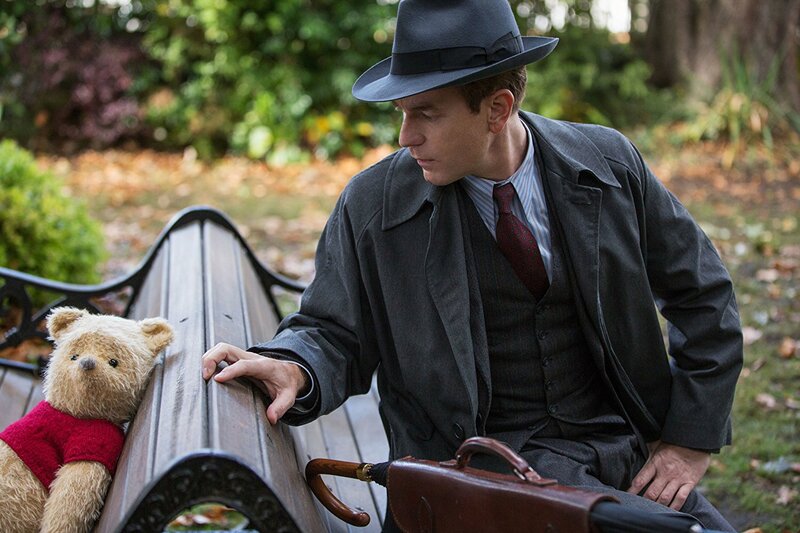 Christopher Robin’s vibrancy has been tainted by the many misfortunes that come with living (the color of the picture literally becomes gloomy, muted, and a bit drab). He needs to find himself again, and sometimes the only way to accomplish such a feat is to ditch the map and get lost. Back to the 100 Acre Wood he goes, barely squeezing through the tree’s door, intent on helping Winnie the Pooh (so carefully and soft-spokenly voiced by the great Jim Cummings). Pooh has lost his friends: Eeyore (Brad Garrett), Piglet (Nick Mohammed), Tigger (Jim Cummins, again), and the rest of the gang have gone missing. Christopher Robin might lose some viewers in this portion. The film’s story stays serious while the tone becomes quite silly, and it’d be understandable if some folks read this as one big, indulgent metaphor for self-help. Director Marc Forster’s style doesn’t do many favors either, refusing to take a pause when a breath is sorely needed. Forster might not be the obvious choice for a film like this one, yet he also gives it life with his whirlwind approach, offering easy and understandable moments rather than waylaying us with no end in sight. Pooh is the Yoda/Obi Wan to Christopher Robin’s Luke Skywalker, and together they must defeat the Death Star’s onslaught of depression with a grounded, personal defense. 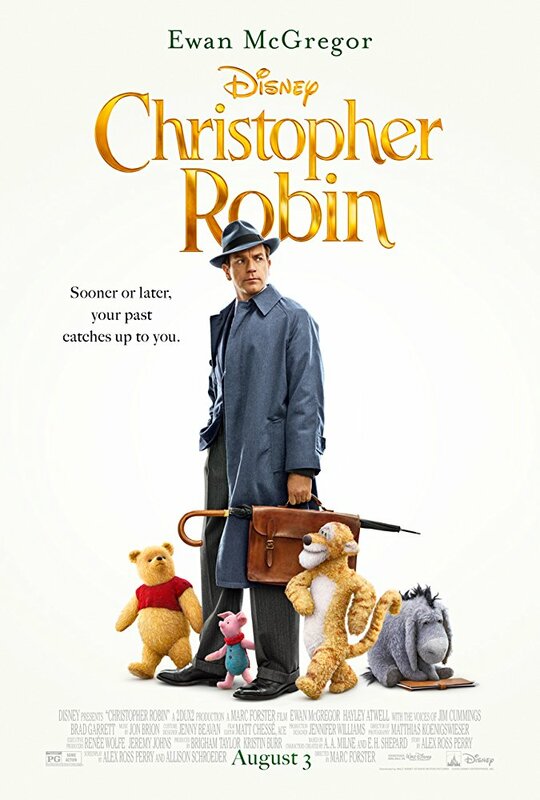 While I didn’t dislike last year’s serious and occasionally solemn Goodbye Christopher Robin, Disney’s latest live-action feature Christopher Robin seems to have tapped into the spigot of goodness that we all really want to keep flowing, with the title itself acting as a proud name tag introduction rather than a sad sendoff from the get go. 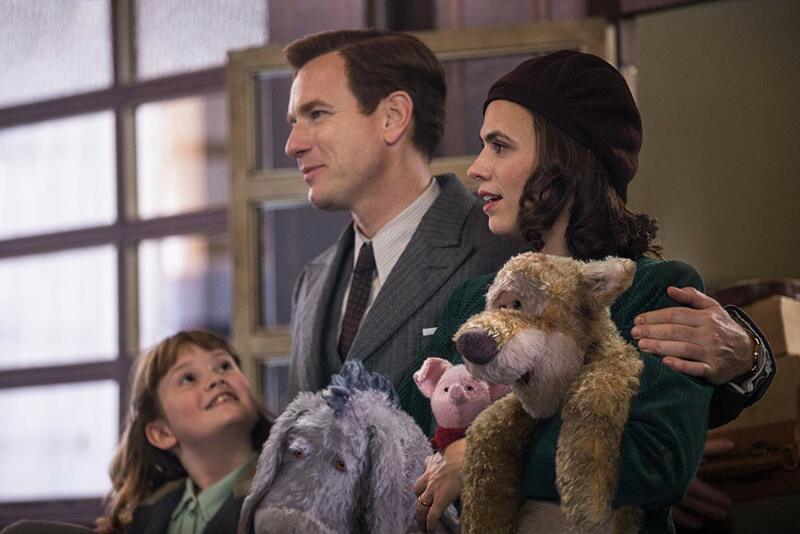 And sure, it’s no Paddington 2, but Christopher Robin disarms us with charm and wit and a little bit of insight into the ways of happiness, hypnotizing us with its beautiful CGI stuffed animal creations. If you’ve ever gone through a storage bin and found a favorite toy, or a book, or maybe come across your old baby blanket, Christopher Robin will conjure similar feelings; they’re ones of unfettered, unbothered, simple-minded curiosity. And they are the ones we cling to when nobody else is looking. Maybe that’s the most important takeaway.